We would like to take this opportunity to say a big thank you to our valued clients who have entrusted us with their transactional work in the first quarter of 2015. We are again very grateful for your continued support and loyalty. Furthermore, we would like to thank our colleagues who assisted us in executing and implementing each relevant transaction. Your assistance and support has been invaluable. 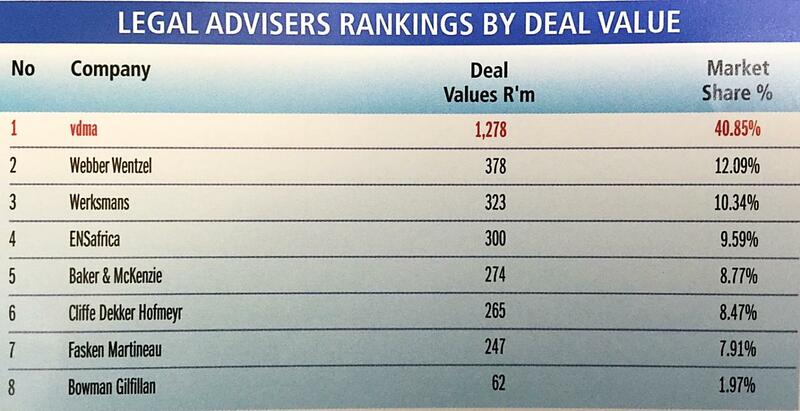 We are fortunate to have a group of leading skilled lawyers in our team who have successfully executed each transaction which has catapulted us to the rank of the number one law firm In South Africa for unlisted transactions Deal Value. Our achievements would not be possible without their commitment. Adding value to our clients is our first priority at VDMA and we are pleased that our value add has been independently recognised in the transactional market by our colleagues and market leaders. 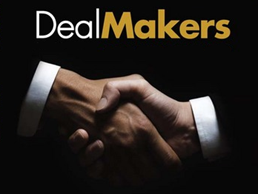 Our achievement in securing over 40% of the unlisted deal value in South Africa is proof that an increasing number of individuals and businesses, locally and internationally, are referring their commercial legal work to us and are satisfied with our work. We will continue to add value to our client’s business wherever we can.